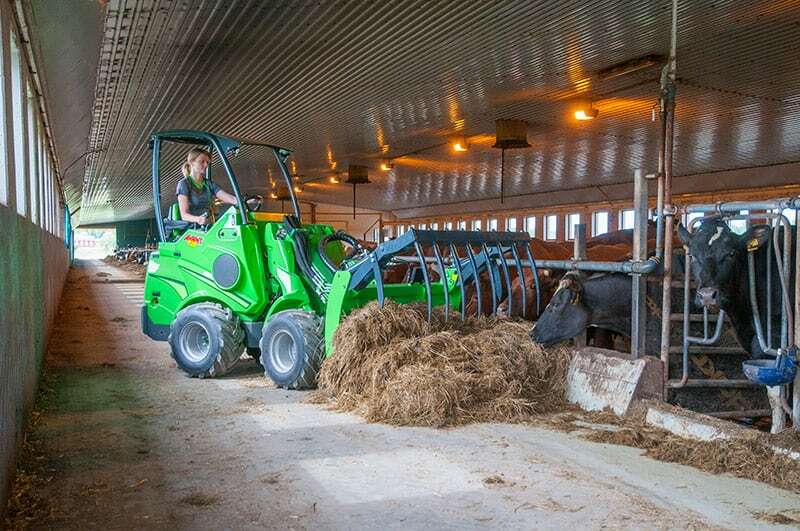 Forward attachment visibility in the R Loaders is a little weaker than in traditional Avant loader due to driver sitting on the back frame of the loader. 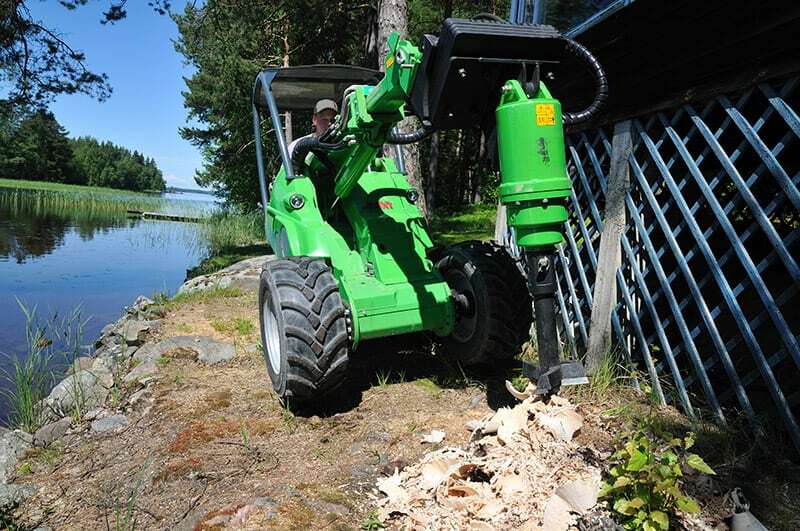 Because the cabin is further away from the attachment, drivers may not have full visibility to the attachment. The outer dimension of R series and traditional Avant models only differ in height. 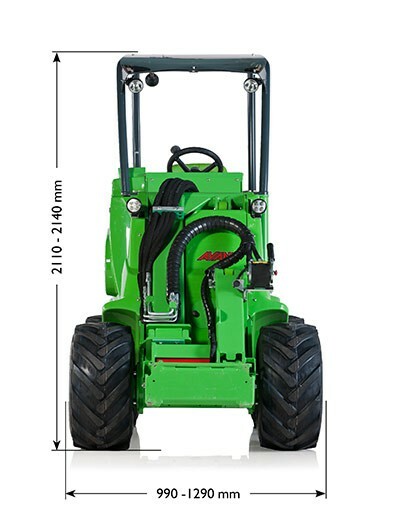 Due to the location of the control mode and cabin, the R loaders are approximately 10cm higher than the traditional models. 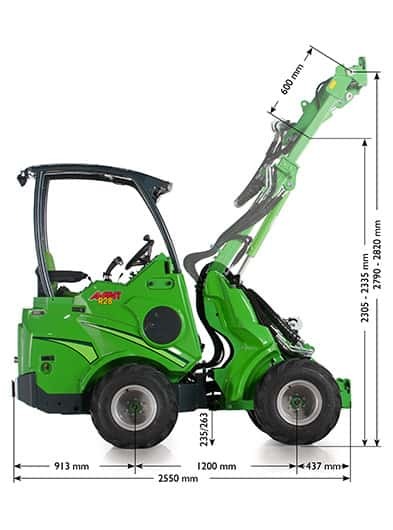 While machines are straight and not inverted the lifting capacity between the machines are extremely similar. 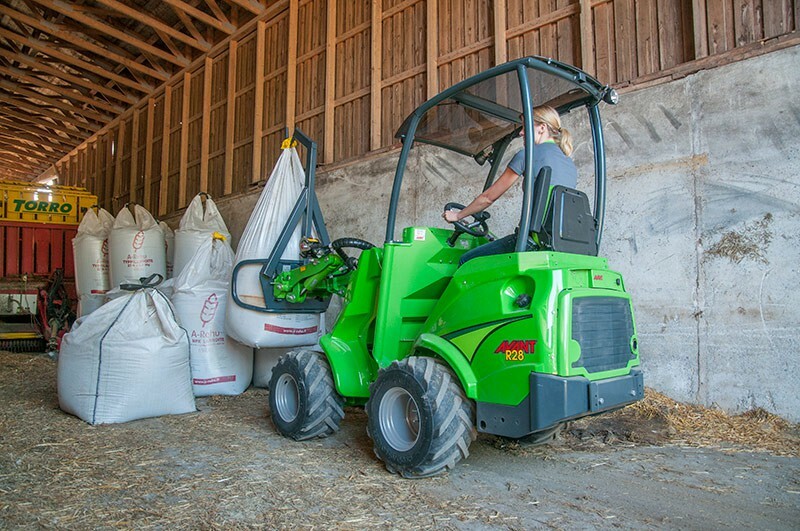 Once turned, the R Series loses more lifting capacity than with other Avant models. This is because the machine structure doesn’t have as much moving counterweight. 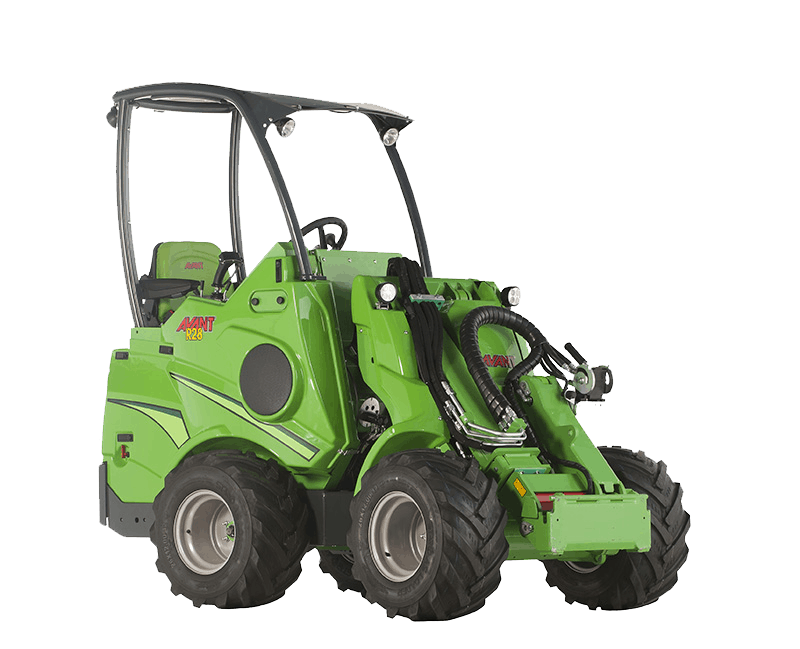 When turned, the R loaders lose approximately 150kg of lift capacity. 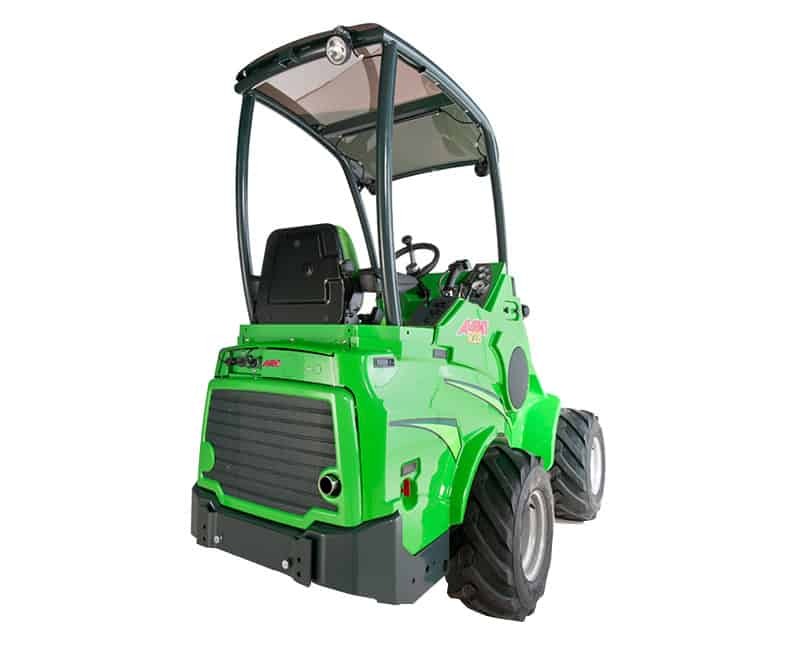 The R series is easier to turn in very tight situations, because the driver’s seat doesn’t extend beyond the turning radius of the wheels. The advantages of the steering system are best shown when driving along narrow corridors and in tight situations indoors. 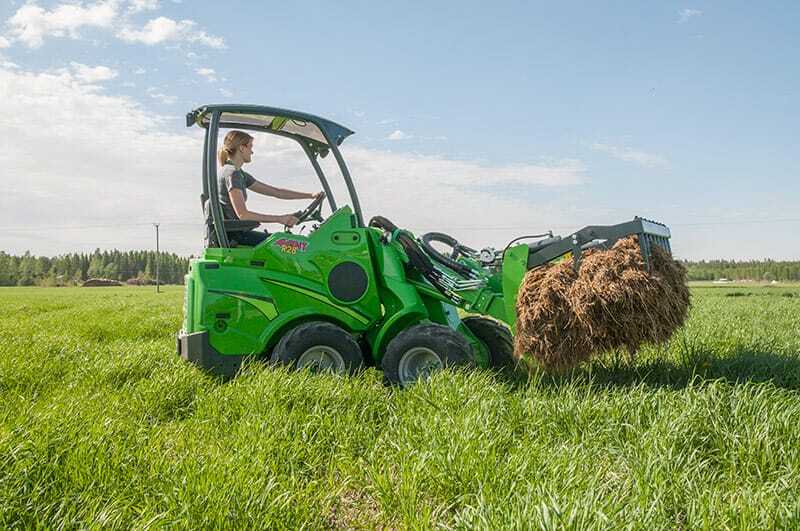 See what attachments to use with the R Series here.